So, currently the tech giant from Cupertino occupies the third spot in the list of top U.S. PC vendors with the result of 13.4% or 2.26 million units shipped. 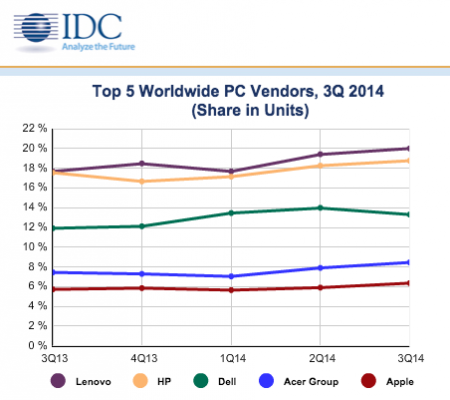 The first two positions are occupied by HP with 27.7% and Dell with 24%. 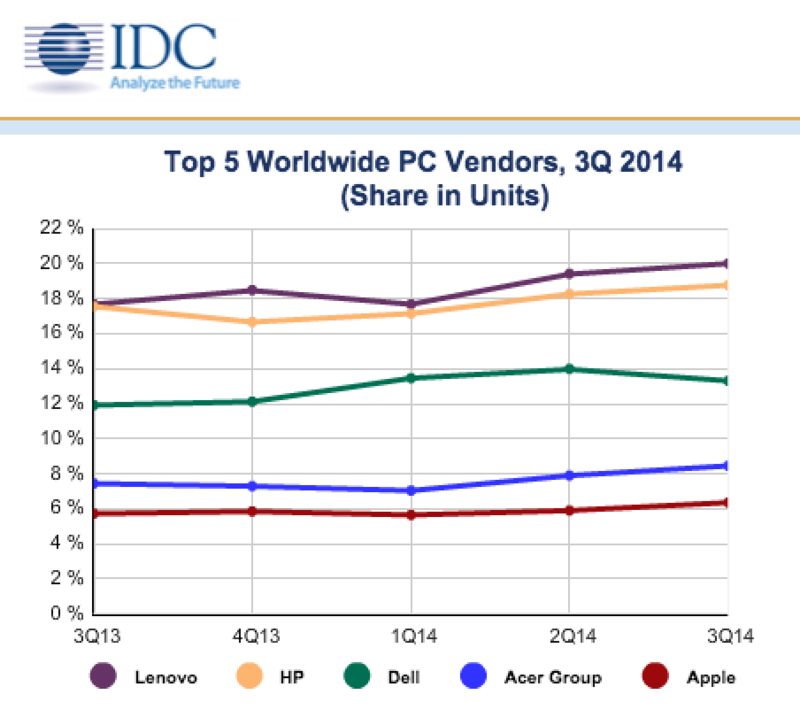 As to the global market share and shipments in the Q3 of 2014, they also seem to be record-breaking. Apple gained a market share of 5.7% and sold as many as 5.5 million Mac units. Such a result allowed Apple to become one of the top five PC vendors of the world, which aside from the company from Cupertino include Lenovo, HP, Dell and Acer. Apple refreshed its MacBook Air and Retina MacBook Pro earlier this year with updated processors and other minor improvements. The company also dropped prices on some models and heavily promoted the desktops during the back-to-school season with a $100 gift card along with a discounted purchase price for both students and educators. Next year, Apple's Mac sales and both U.S. and global market share may improve even more as the guys from Cupertino are planning to introduce a brand new 12-inch MacBook and update the entire lineup of their laptops and desktops with Intel's Broadwell processors.